When Apple emerged from near bankruptcy in the late nineties to target a niche market, it made open source a high priority. Now, we see Apple veering from that path. With mobile computing becoming more popular and the tablet market growing, we find ourselves witnesses to an all out war between Google and Apple. The result is Google portraying Apple as closed and guarded, preventing the public from contributing to and improving it. In a way, Google’s right. Over the last few years Apple has slowly been closing certain doors to developers and consumers. However, Apple argues that it has found a middle ground between open and closed source. It fights back at Google with the concept that fewer devices and software, and more control is better. In 2003, Apple announced the release of its new web browser Safari. The company said it was built on KHTML, the rendering engine used by KDE Linux. Apple made improvements and added content to KHTML and then released its version of the code as WebKit. Why would Apple allow public access to the source code of a valuable product like Safari? Because it had to by law. KHTML was partially developed by bedroom programmers and they licensed it under the Lesser GNU Public License (LGPL). The main idea behind the LGPL is: If you distribute a copy or modification of a code licensed under the LGPL, you have to give away the source code too (if they ask for it). There were two real reasons Apple decided to build on open source software. The first and simplest answer is that creating a rendering engine from scratch would be a massive undertaking and Apple didn’t want to spend the time or money. The second is that Apple was worried about Microsoft. In the early nineties, Microsoft pushed Apple into an extremely small corner of the market using Internet Explorer (IE). The well-known browser became the standard for Internet interactivity and only came bundled with Microsoft Windows. Apple knew that a lot of websites required IE to work correctly so they pushed the adoption of an open standard: WebKit. So, some WebKit based software is in direct competition with certain Apple Max OSX and iOS software. To take it a step further though, some companies have started porting these softwares to hardware devices that conflict with the Macbook, iPhone, and iPad Tablet. 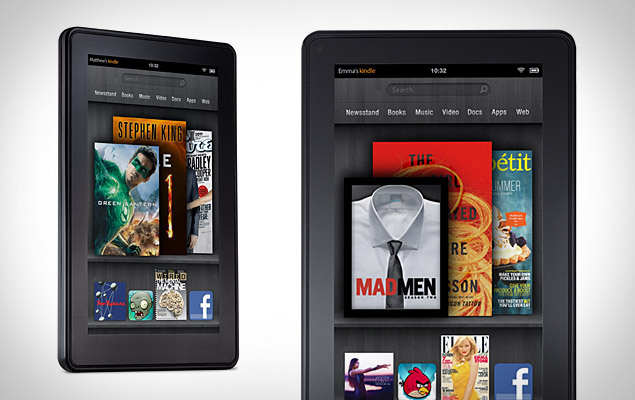 For example Google’s Chromebook, any Android equipped smart phone, and now Amazon’s new tablet the Kindle Fire. Apple became a great open source alternative to Microsoft, promoting innovation and growth in the industry. But soon, Apple started withdrawing some of its open source efforts, it started limiting privileges and how its devices could be used. Apple was forced to sacrifice it’s open source roots to sell the iPod. Apple had to include DRM on iPods and had to advocate the DMCA if they wanted to convince the music industry to sell on iTunes. Then, Apple restrictions continued. In September 2007, Apple started adding a checksum hash to iTunesDB files (the files needed to sync libraries to iPods). This encrypted the files and made it impossible to use third party software like Winamp and Songbird. The open source community was angry with apple and the hash was hacked. A constant progession of updates and new workarounds eventually ended when Apple issuing a DMCA takedown against iPodHash, a BlueWiki group. But, developing apps for Apple devices is becoming a more demanding process. There are constant updates to the rules that determine whether an app is allowed into the store. In fact, it’s possible for a developer to spend months of time working on a project, only to have it rejected by Apple’s rigorous review process. This means third-party companies and individuals are taking their products to platforms where they know they’ll published. The same is the case for the new Mac OSX App Store. We could see in the near future, an operating system supported only by apps bought through the store. The most extreme and conclusive evidence that Apple is moving away from open source was a failure to release WebKit code in a timely manner. Both iOS and Android have roots in WebKit so both Apple and Google have to update the source code when they release updates or new versions of their operating system. Apple has been taking longer and longer to do so. Apple has waited as long as six months after an update to release source code. That was only after an outraged blog onslaught by the open source community. We think the open versus closed argument is just a smokescreen to try and hide the real issue, which is, “What’s best for the customer – fragmented versus integrated?” We think Android is very, very fragmented, and becoming more fragmented by the day. And as you know, Apple strives for the integrated model so that the user isn’t forced to be the systems integrator. We see tremendous value at having Apple, rather than our users, be the systems integrator. We think this a huge strength of our approach compared to Google’s: when selling the users who want their devices to just work, we believe that integrated will trump fragmented every time. Here, Apple tries to turn the tables and portray Google in the negative light. Apple’s version of vertical integration is smart business. It means using Apple software and hardware in sync to create a seamless user experience. Apple claims that Android has already been ported to too many devices to allow integration. It will be interesting to see where this battle of two tech giants goes. Will Apple be too restrictive in the future? Will they eliminate the very characteristics that made Safari and iOS so successful? Or will it be the case that the user experience is so simple and entertaining that everyone owns four Apple devices?